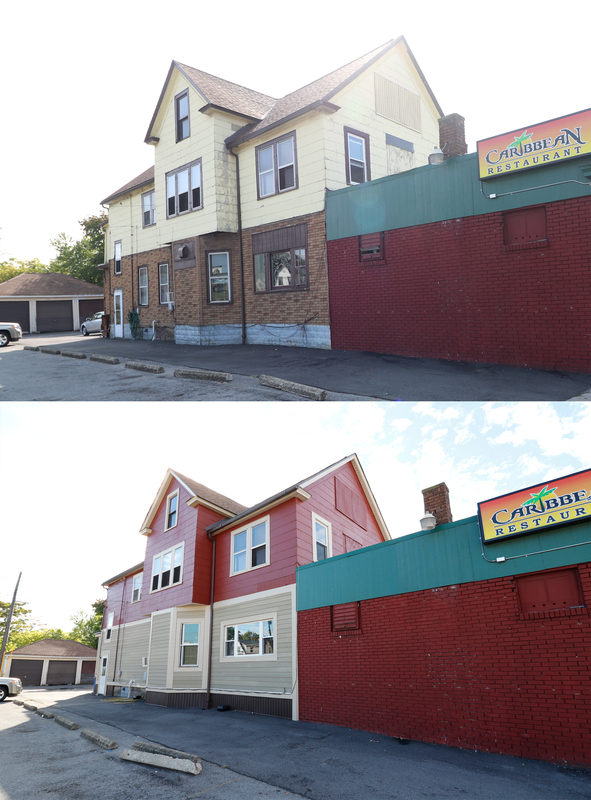 Thanks to a $300,000 Buffalo Main Streets Initiative grant funded through the Better Buffalo Fund, the University District Community Development Association (UDCDA) is assisting six property owners with façade improvement as well as significant interior renovations through their Better on Bailey initiative. Three businesses have already completed their renovations. These include 99 Fast Food Restaurant (Pho 99) located at 3396 Bailey Avenue, which received a new flat roof through the program, Caribbean Experience located at 2897 Bailey Avenue, which received new cement board cladding, a new paint job, new replacement windows, and several internal upgrades to the restroom and kitchen facilities, and Buffalo Paint & Wallpaper located at 2917 Bailey Avenue, which was able to rebuild two exterior walls and install a new, more efficient storefront system. “I’ve been in business for over 20 years on Bailey Avenue and this is the first time I’ve ever received help like this. I’m so grateful to be able to reinvest in my business and in my community” said Hyacinth Patterson, owner of Caribbean Experience. Caribbean Experience underwent extensive exterior renovations thanks to the Better on Bailey initiative. Three other businesses currently participating are Varsity Theatre located at 3165 Bailey Avenue, which will build out co-working office space in the second floor of the theatre, Bailey Check Cashing located at 3101 Bailey Avenue, which will receive roof repair, new windows, and new exterior lighting, and Horizon Health Services located at 3020 Bailey Avenue, which will focus on masonry repair and brick repointing of their 1920’s façade. The Varsity Theatre’s re-opening in 2016 thanks to an Urban Initiatives grant awarded to the UDCDA through the State’s CFA process helped to kick start interest among property owners in pursuing similar funding opportunities. While Buffalo’s West Side is best known for being the city’s melting pot of cultures, the businesses and business owners represented through the Better on Bailey initiative provide just a small snapshot of the cultural vibrancy emerging on Bailey Avenue. Immigrants both new and old hailing from places like the Ivory Coast, Vietnam, and Jamaica have chosen to take a risk and start a new life along the corridor. It is these types of entrepreneurs who are writing a new chapter for Bailey Avenue, and funding to support them in this goal is critical now more than ever. 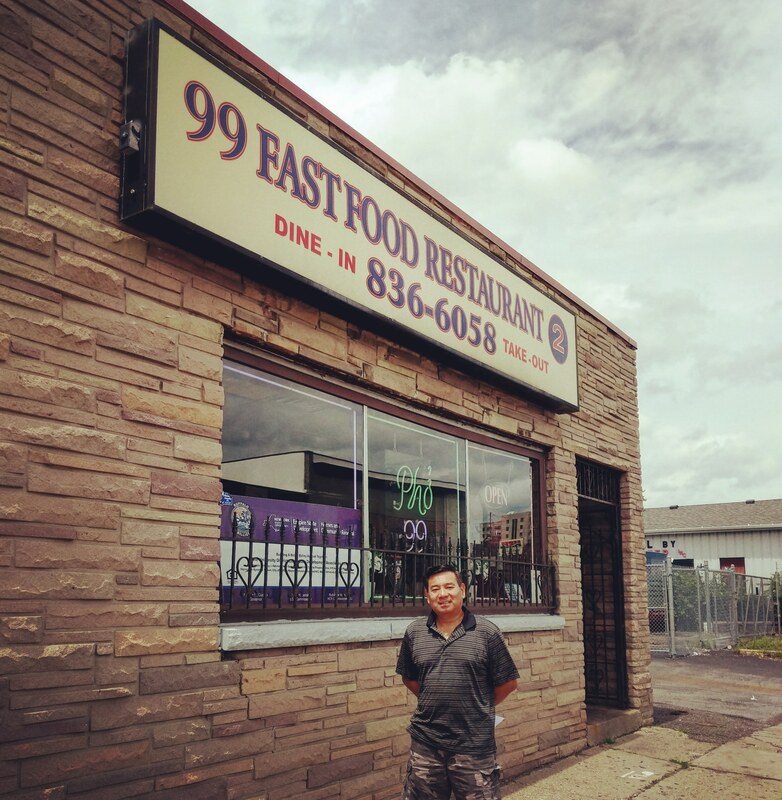 Minh Tran, owner of Pho 99, was able to replace his restaurant’s flat roof thanks to the Better on Bailey Initiative.